Discarding all petitions from different quarters to let spouses of H1B visa holders work legally, the US government is stepping forward to eliminate the Obama-era EAD work permit for H4 visa holders including the highly-qualified ones. The US Citizenship and Immigration Services’ director, Lee Francis Cissna hinted at it in a letter to Senator Chuck Grassley, an adamant critic of the United States’ work visa programs including H1B for foreign nationals. Thickening the clouds of anxiety for qualified spouses of H1B visa workers in the USA, Lee Francis Cissna conveyed implicitly that the federal agency is intent on revoking the practice of issuing Employment Authorization Documents (EAD) to H4 visa holders. A public announcement will be made later this summer. If the Obama-era EAD work permit is repealed sooner or later, it will render tens of thousands of high-skilled Indian spouses on H4 visas jobless. Nearly 100,000 H4 visa holders, who are from India, are among the beneficiaries of the Obama-era rule. “With regards to regulations in line with President Donald Trump’s ‘Buy American, Hire American’ order, we plan to make regulatory changes to revoke the 2015 Obama rule and remove H4 visa holders from the category of aliens who are eligible for employment authorization,” read Lee Francis Cissna’s letter to Senator Chuck Grassley dated April 4. The proposed withdrawal of the Obama-era rule for employment authorization of qualified H4 visa holders will have a devastating impact on those who are victims of domestic violence and loneliness, thousands of miles away from India. One in every three women on H4 visa is physically exploited and socially isolated in the US, according to Raksha, a Georgia-based nonprofit organization for South Asian women in America. Early in 2017, we at Travel Beats, a US-based Indian community portal happily reported about USCIS’ release of a new application form (I-765V) for temporary work authorization for abused spouses of H1B visa holders. Those who got divorce on grounds of physical abuse or domestic violence were also deemed eligible for 2-year employment authorization. Our subscribers and readers hailed it as empowerment of abused H4 visa holders. But anti-H1B and anti-H4 groups did not let it be a success. If nearly 1 lakh spouses of H1B visa holders lose work permits in the United States, they will be reduced to helplessness and become dependent on their partners for socio-economic needs despite having skills and qualification, in the world’s biggest economy. If H4 visa remains Victorian in its terms and conditions, the US which is often regarded as a land of aspirations and American Dreams will become a dystopia for the spouses of H1B visa, devoid of professional identity and freedom. Travel Beats is a portal for Indian Americans by Indian Eagle, a trusted travel partner of Indians in USA. Travel Beats publishes the latest news and stories related to Indian community, young Indians in USA, philanthropy, air travel, tourism and immigration. Not everyone is skilled . Very few. I dont think they come with good work experience. Some people are misusing it. Very bad. Many people are using h4 to work for very low wages that affects Americans job market… Instead they can stop h4 and let not scrutiny the h1 so much unnecessarily. That is true, I dont think, if they are high skilled they need H4, more of them are misusing it. And I dont think this will encourage domestic violence at all. 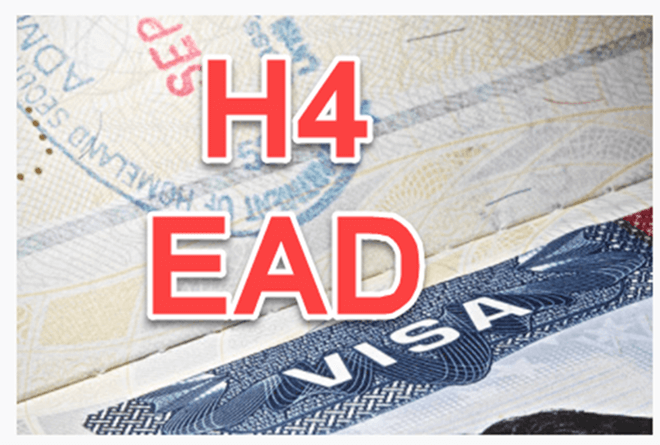 We should revoke H4 EAD ASAP to save America Jobs. In my work area, there are so many case of H1/husband and H4/wife couple and they are all come from TCS. Those H4/wife are not high skilled at all and they were trained by H1/Husband in order to get the job. Though I can understand the emotional aspect of this issue, no one can deny these legally admitted migrants were issued TEMPORARY visas to come to the US. If they didn’t understand what temporary means, please don’t blame the current US administration for their actions. If anything, they should blame it on the previous administration who gave false hopes to these temporary visa holders that they are allowed to work at the cost of allowing a citizen or otherwise legally authorized to work on a permanent visa to have a chance to occupy those jobs. They are always welcome to go back home and contribute to their country with their high skills, if they think they are valuable! There are many skilled US Citizens who are not getting qualified jobs because of these H1B and H4 visa’s. Middlemen want to make money out of H1B visa, so try not to hire Citizens. I also want to point out that H1B tech’s who come from Andhra Pradesh only hire their own people from Andhra. I have first-hand proof of it. If they are so highly skilled they can all apply for H1 which will cater to more openings that the H4 people would vacate. Same high skills, just a different category. Please don’t blame the government for domestic problems. the women who are so highly skilled need to be strong enough not to take the abuse. Travel Beats is an Indian Community portal by IndianEagle, a leading travel organization for Indians in USA. Travel Beats celebrates the achievements of young Indians and publishes exclusive stories from the US and India. It also publishes the latest news about Indian Americans from different walks of life and lists upcoming Indian events in USA. It also shares updates from US-India airlines. To be precise, Travel Beats is a consistent effort by IndianEagle to bridge between Indians in America and India. © 2019 IndianEagle LLC. All rights reserved.